Here it is without the stars–the outer square is a really pretty French blue–not as dark as it appears here. 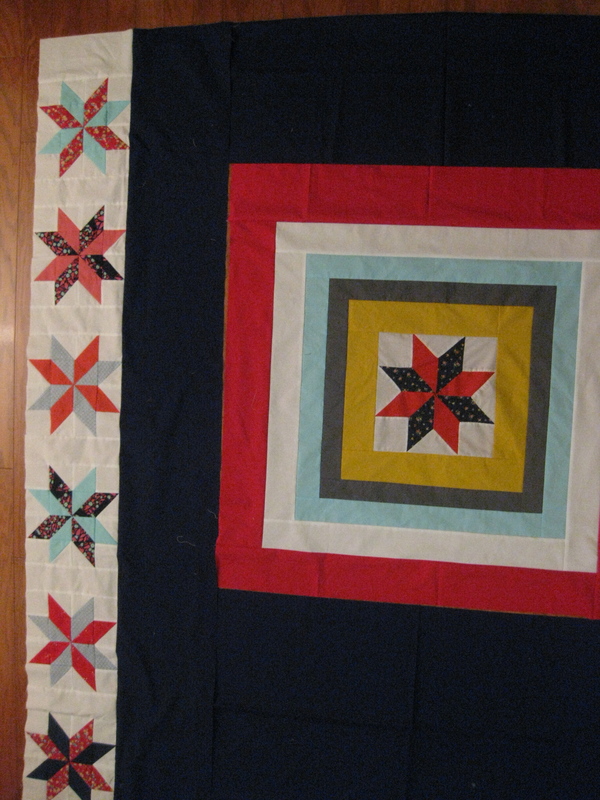 I think this plainer design is perfect for a charity quilt, since I don’t know who the quilt will belong to. I also like that it will be great for a boy but could also appeal to a girl. I really love how this is ending up. I am not sure how I feel about my inability to work outside my comfort zone. Either I have really strong feelings about design or a limited imagination. At least, I can say I know what I like! 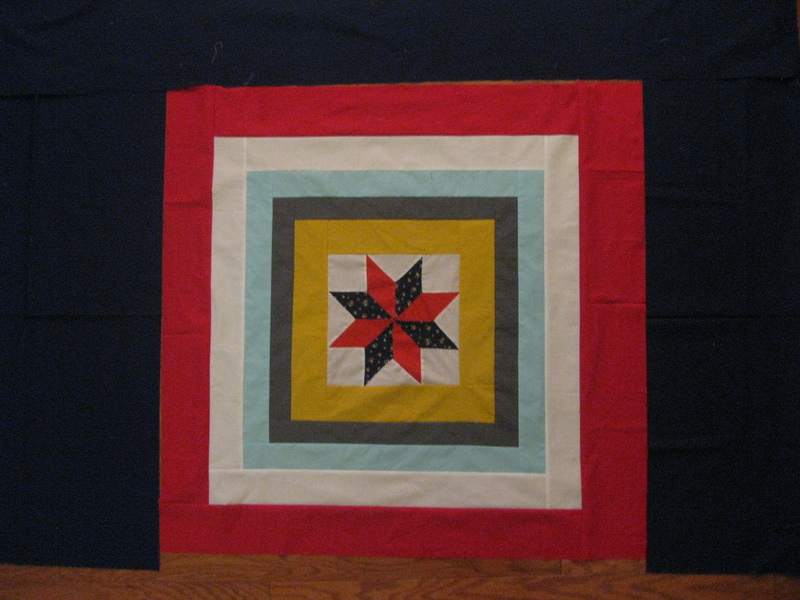 This entry was posted in Giving back, kids stuff, quilts and tagged 100 quilts for kids, charity quilt, Log cabin, modern quilt, quilt design on August 21, 2013 by brigitdermott. The stars are nice, but I think you made a great call to add them to another project. 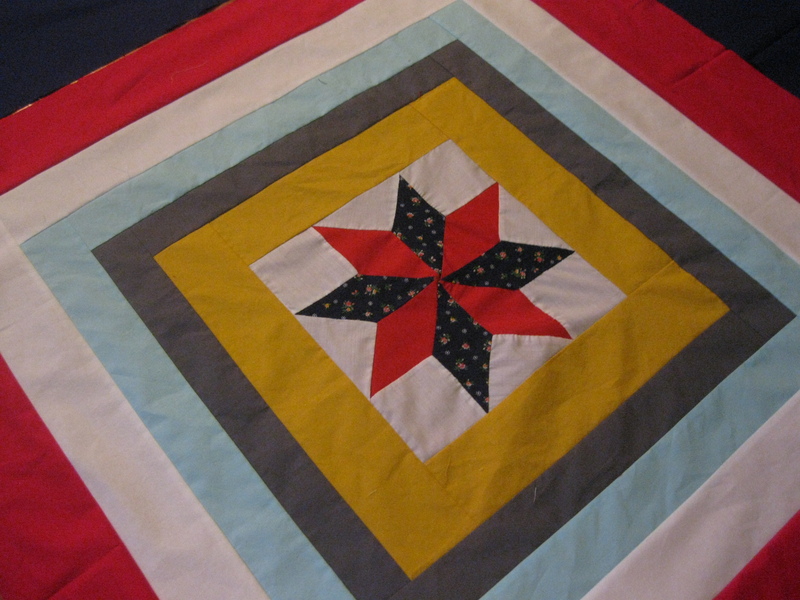 I love how the solids work into this quilt, and you’ve got a great point about the charity quilt. wow, it’s beautiful. i love the colors! Thanks! Love your work, too! GIRL!! It’s gorgeous!! Great work! Thanks Vanessa! I would be done by now if I started where I ended up–live and learn! #pantonequiltchallenge fabric pull! Very excited by these lovely warm colors!